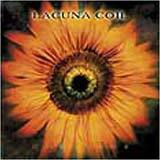 There's two things that I love from Italy, it’s their food and their finest gothic metal act Lacuna Coil. Although this band has been around for only five years, they have quite a huge following in the metal scene. Can someone tell me why is that ? C’mon guys, just kidding ! Here in my hands, is their new album Comalies, a month prior to its official release date. The band has always released a mini CD prior to its full length, but this time the new album comes without warning and contains not less than thirteen tracks. Thirteen new duets with Cristina and Andrea, thirteen tracks of the sweetest romantic melodies, thirteen tracks of pure joy. If heaven and hell exist, then this must sound like heaven... and Cristina must be a fallen angel. This album is much stronger than its predecessor Unleashed Memories, but it picks up where Unleashed Memories left off. I feel the band has developed its style to a new level which is both more varied and recognizable at the same time. Comalies is an album filled with great energy and emotion. The band has been able to once again come up with high quality tracks where the music and the vocals are blended in perfect harmony, highlighted by the splendid vocals of Cristina Scabbia, Lacuna Coil’s biggest asset. Tracks unfold one by one and soon comes silence, and you realize that the album is already over. There is just one thing left to do. Play it once again. Although I am personally very much satisfied with the result of this new album, I doubt everyone else will be satisfied too. This is the reason why I give this album 90 instead of 95. Anyway, forza Italia.